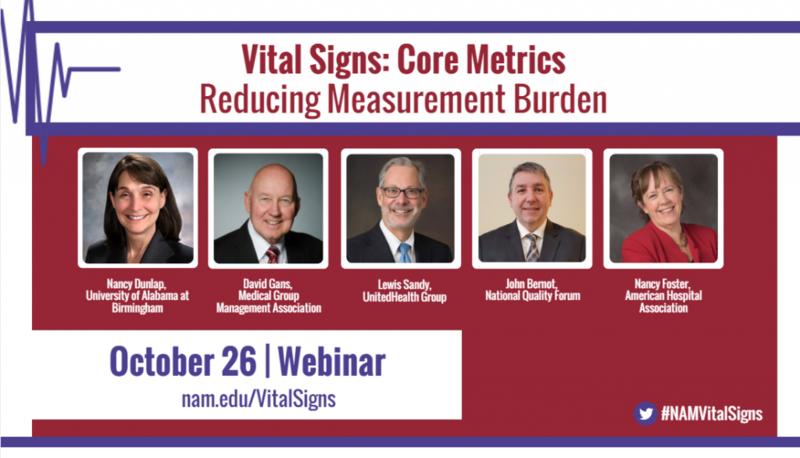 How are various measurement activities driving improvement and value in health care? What is the current burden of quality metrics reporting among providers? What are the ongoing initiatives and opportunities led by key stakeholders to sharpening focus towards core metrics? Through insights obtained from quantitative and qualitative research, this webinar will identify opportunities for the National Academy of Medicine to facilitate stakeholder progress in the spread and scale of Core Metrics implementation. To view a full agenda, please click here.